Custom Katana Batch 44 is closed.. Apologies for the lack of updates, I actually had to move house in the last few days and the timing is less than ideal as of course every day I miss a day of work, it piles up into a mountain of stuff to get through – and from today my goal is to chip that mountain back into a manageable molehill.. Anyway, back to the topic at hand – we just closed off on the last batch of custom swords for 2018. 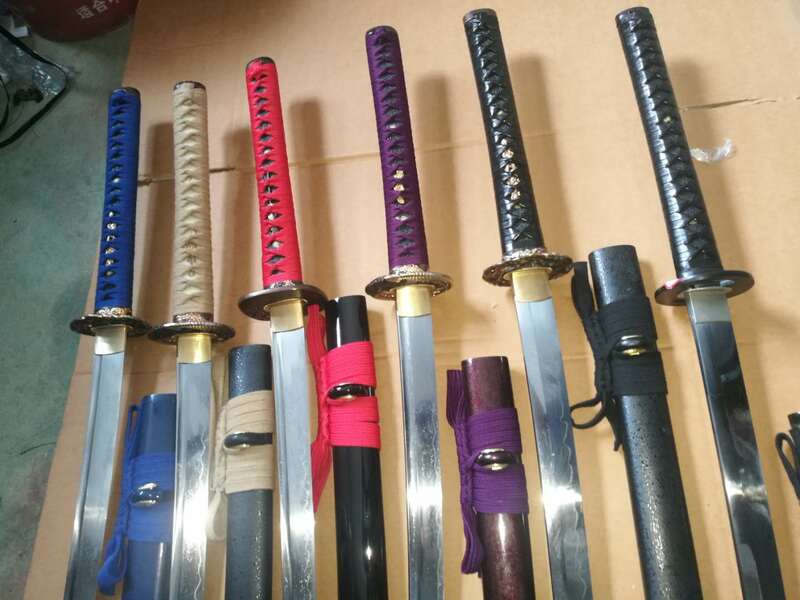 Normally I would have said ‘custom katana’ but this time around for some reason about 50% of our orders for this batch are actually Wakizashi Daisho sets..! Not sure why, but its interesting to note.. So yes, over the next few days I will be confirming all the customization choices and making sure that all the details are correct before we send the order through as a batch to the forge. And trying to find which bag of stuff I put my socks in (ah, the joys of moving house.. Argh)..
Update you all again soon. 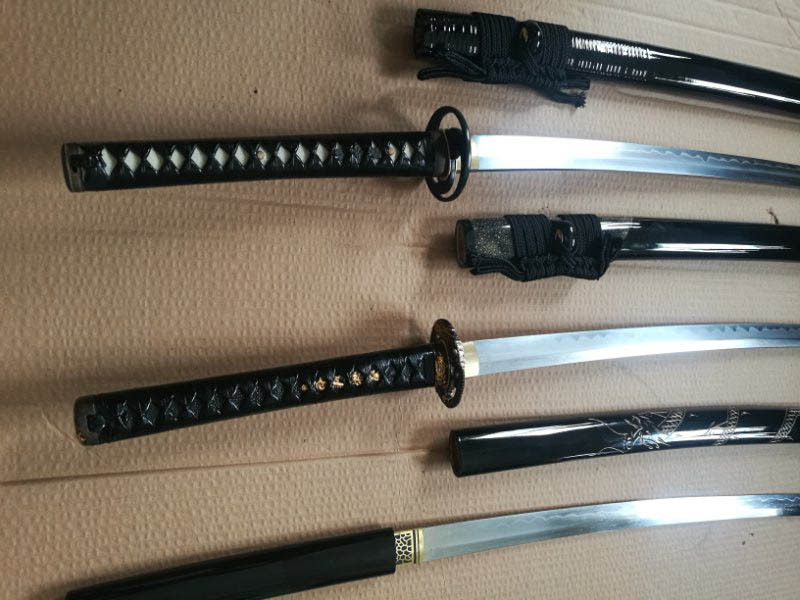 It’s finally here – batch 44 of the Custom Katana! We had to keep pushing this one back thanks to 4 swords from the previous batch that shipped separetly from the main batch and spent longer than usual clearing customs. But the good news is, better late than never, batch 44 is now open until the 17th of October to take new orders. This is a pretty rare opportunity – this is only the second batch this year and will be the last for 2018 as well. 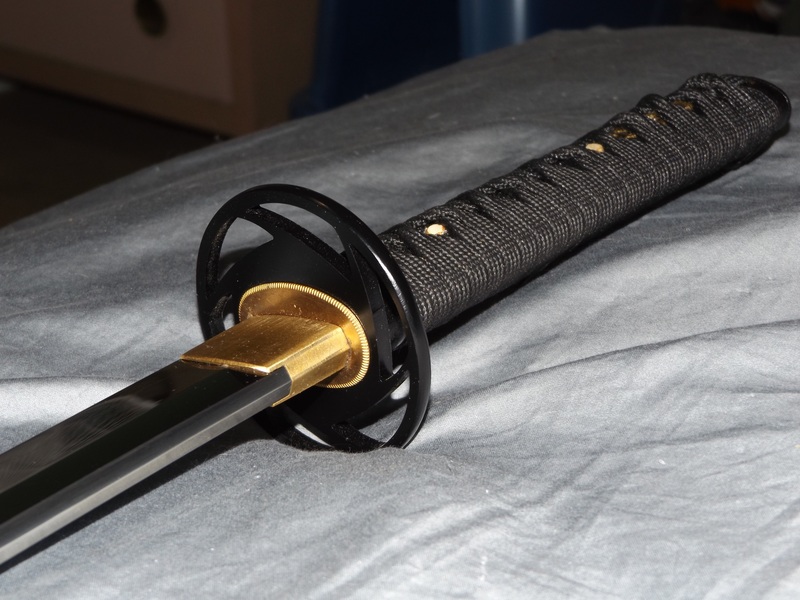 And even though we REALLY should increase the price, at least this time, it is still a bargain at just $429.99..
SBG Custom Katana – nearly ready for next orders! 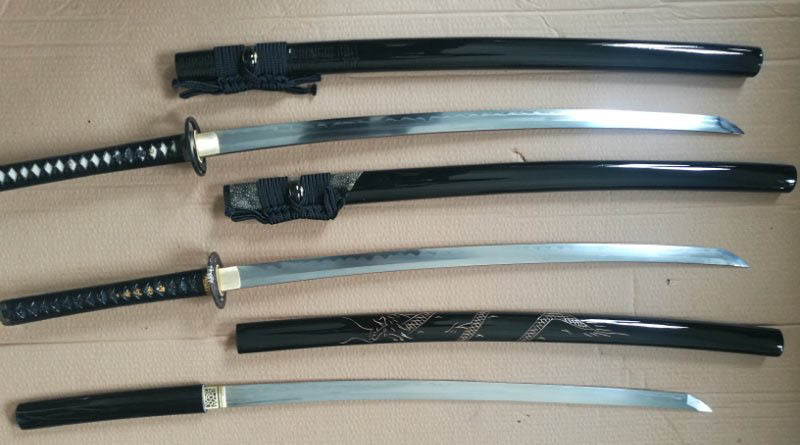 We had to keep on pushing it back again and again, thanks to 4 swords that needed a little extra time to make, and then got stuck in customs for weeks… But now that these last few swords are finally clear and about to ship out to their patient customers, the time to open up for another batch of SBG Custom Katana is nearly upon us. Price pressure is very much upon on with this batch – but at least for this batch, we will bite the bullet and keep it at the price it has been for many years now – $429.99 shipped. The quality of each batch has also been getting better – the most recent batch had a zero error rate, and only one sword failed QC as it had been dropped somewhere along the line and the tip was damaged slightly – so that one will be remade and the damaged sword sold off.. 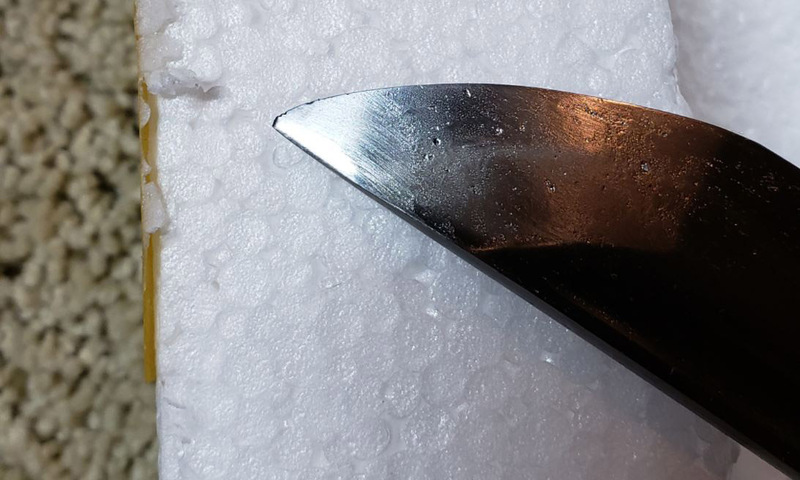 While it might not be unusual to experience a little damage like that on a sub $500 sword, as you know we QC these swords like they are priced in the thousands – and the end result, very, very happy customers.. Here is a pic one of the customers from this current batch had to say.. The quality is unbelievable – thick Mune, alternating Tsukamaki, ghosting hamon, extra hard edge, highly polished Kissaki. I’m impressed. Here’s a pic of “Zero” (that’s what I named it). Thank you. Well, the answer is, very soon – and if all goes well – we will be able to offer some Black Dragon swords from stock at the same time.. So watch this space SBG Custom Katana fans..! Batch 43 of the SBG Custom Katana is now in the very final stages of completion and is scheduled to ship out from the forge around the 25th of July. Below is a quick pic that the forge took of some of the swords from this batch – looking good even if I do say so myself..
Of course, once shipped from the forge they need to clear customs, who have become extremely pedantic and hard to deal with of late – and then once cleared they need to be carefully inspected before shipping out, so at this stage it is looking that they will be delivered to their owners in early to mid August – which of course means that we will not be taking new orders (batch 44, the last for the year) until after they are out.. Indeed, we actually recently received a shipment of Black Dragon Swords from the same forge, some real classics that we have not seen for years, but will not be listing them for sale until the custom Katana from Batch 43 are shipped out as a courtesy to the customers who are waiting on them.. And customs was REALLY hard on this shipment, charging us unprecedented fees which we really cannot afford to absorb, but even if we make a loss again on the custom Katana (which is likely the case) we do this as a service to the community so we have to grin and bear it.. Anyway, in the meantime here is a sneak preview of the Black Dragon Forge Swords..
As stated though, we won’t be selling these until after batch 43 is clear – but thought you might enjoy seeing a sneak preview of what is coming next month..